Crush the berries and put them in a deep, stainless steel pot. Mix in the sugar and the lemon juice. This recipe has an absurd amount of sugar in my opinion and is too sweet, but liquid pectin doesn’t come in a low sugar version as far as I know. Yes, I’m posting a recipe I wouldn’t necessarily make again, I think it’s informative though. The sugar added here is the major difference when using liquid pectin. 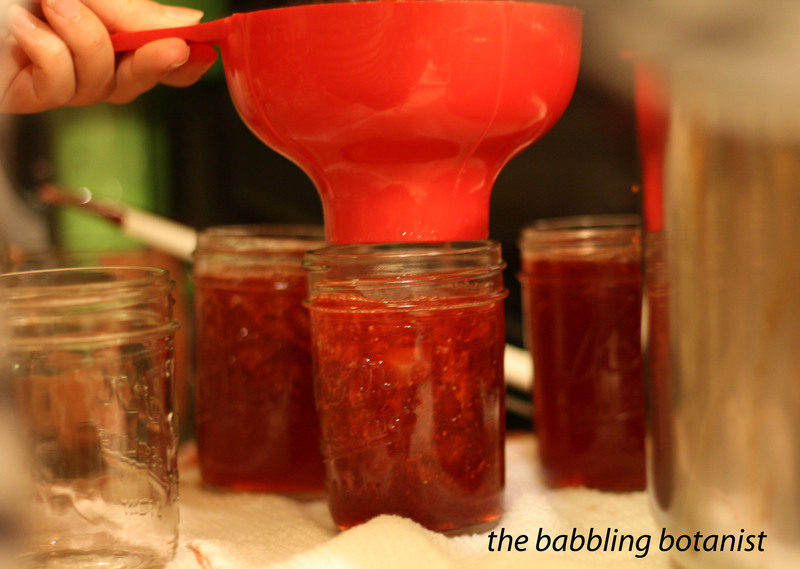 The sugar goes in at the beginning, then you bring the jam to a boil, then add the liquid pectin. 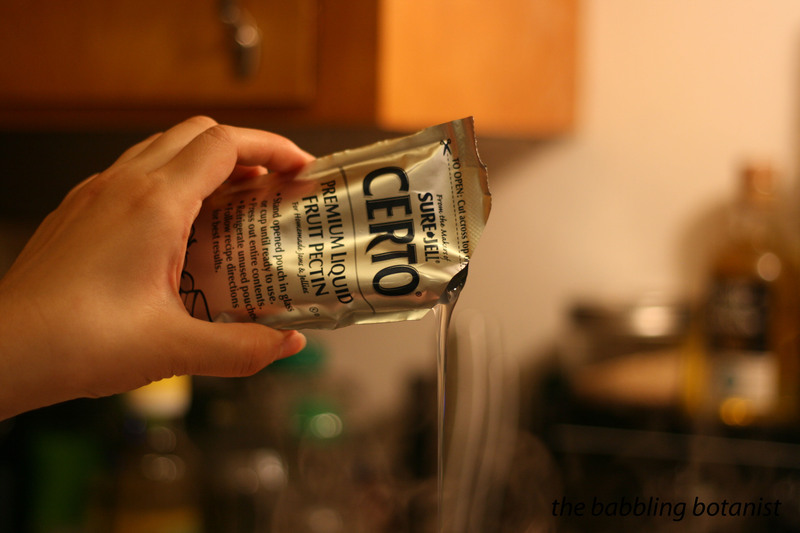 With powdered pectin, the pectin goes in at the beginning and the sugar is added once you reach a boil. They are not always directly interchangeable, but you can often find a recipe for either, especially for berry jams. For example there is a lot more sugar in this recipe than the powdered pectin one I posted earlier, so you can’t just use the same recipe with a different pectin always. 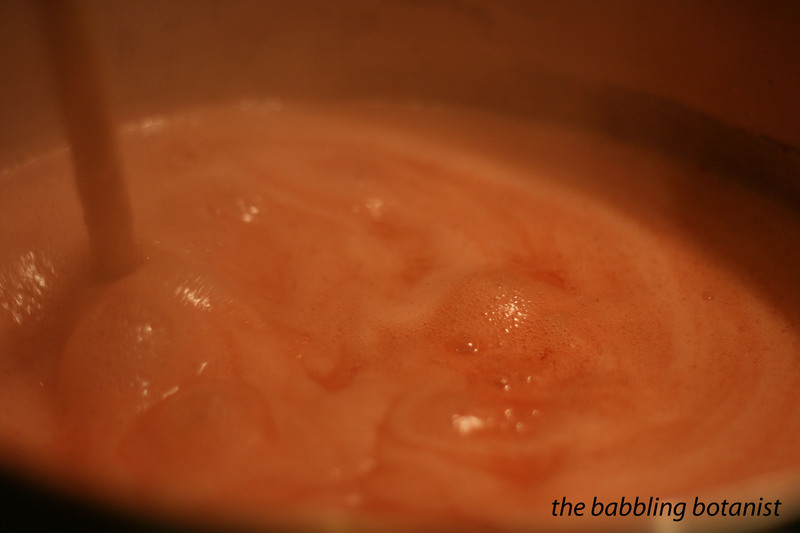 Bring to a full rolling boil that cannot be stirred down, and squeeze in the pectin. Boil hard for 1 minute, remove from heat, and skim the foam. Personally, I think that liquid pectin has it’s place, but this may not be it. The liquid pectin is great for jellies I think though, like the pepper jelly I posted recently. Adding the sugar at the beginning seems to cause this jam to get really foamy. 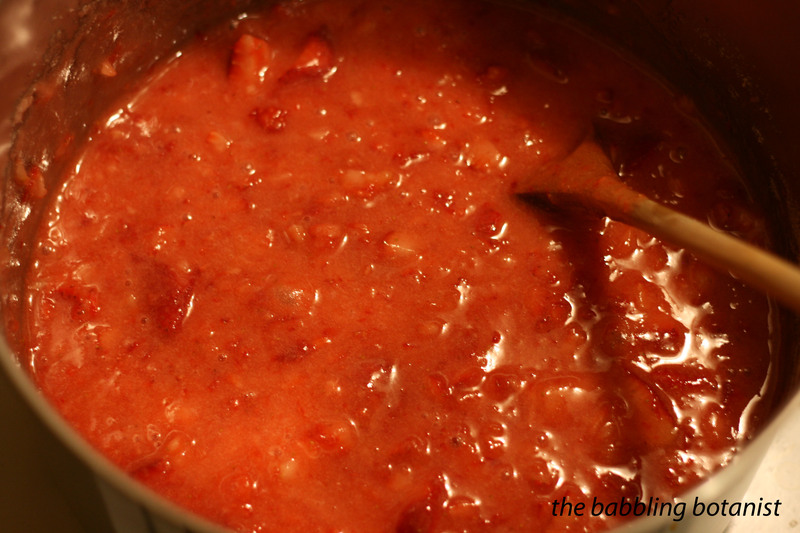 Plus I like to reduce the sugar and use low sugar pectin with strawberries since they are so sweet already. But the full sugar makes a nice gift and could be good for later season, less sweet berries. Fill the hot jars, leaving a 1/4 inch head space. Wipe rims, apply lids, and tighten bands finger tip tight. Place the jars in the canner, covered by at least 1-2 inches of water. Bring to a full rolling boil and process for 10 minutes. After 10 minutes, turn off the heat, remove the canner lid, wait 5 minutes and remove the jars to a hot pad or towel. Cool 12-24 hours, remove bands, wipe clean, label and store.